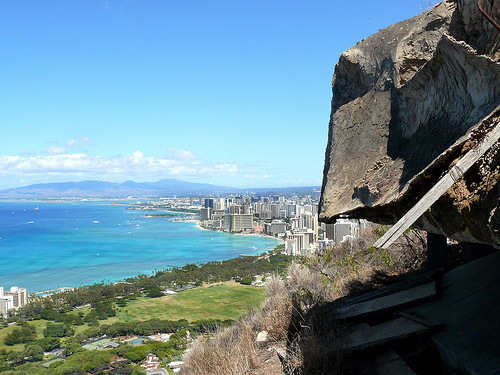 Oahu hiking trails offer a magnificent view of the island and its surroundings. The best way to discover the native beauty of a place is by taking a walk along the nature trails. Oahu is often referred to as an adventure lover's paradise, and not without reason. The breathtaking beauty of this Hawaiian island is only added to by the rugged hiking trails that take you deep into the forests, past sparkling waterfalls, and to the hilltops from where you can take in the spectacular view of the island surrounded by the clear waters of the Pacific. Here are some of the best Oahu hiking trails that will let you explore the island in its entirety. This 1.25 mile hike is a simple one, and hence very popular with families. If you are visiting anytime between May and October, the gentle climb will take you through fragrant blooms of yellow and white ginger, and mountain apple trees. Starting at the foot of the Koolau Mountains, the trail crosses over the a stream a number of times, and affords stunning views of the Koolaupoko watershed and gulches. 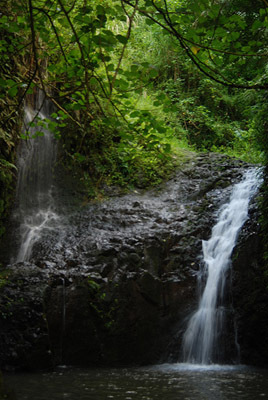 The last part of the trail descends a long flight of steps to bring you in front of the picturesque Maunawili Falls which flows down into a small pool. Perhaps the most popular of all Oahu hiking trails, the Diamond Head trail is about a mile long and climbs to a height of some 560 feet. It takes you through a 225-foot tunnel to the rim of the volcano's crater. There are two set of stairs, and even though the entire trail is paved, it can be quite steep at times. So make sure you wear comfortable footwear. Also, carry a flashlight and some drinking water. The Diamond Head volcano's crater used to serve as a military command post in the late 19th and early 20th centuries. And although the underground complex and observation deck have long been abandoned, you can still find evidence of the post all along the trail. This hiking trail in Oahu can prove a little strenuous for those not in their fittest physical form, but it is worth every bit of strain to walk along the Diamond Head trail for it offers an unparalleled and incredible view of the island, from Koki Head to Waikiki. 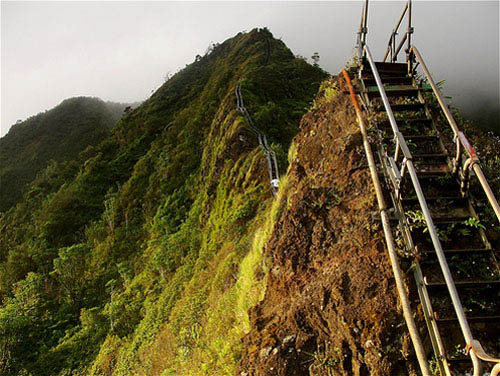 This is one Oahu hiking trail that is highly recommended for all adventure enthusiasts. Located in the Keaiwa Heiau State Park, the trail begins with a 5-foot ledge that you must climb down. It is at the top of the Aiea Heights Drive and travels 4.5 miles around a graded bridge. It will take you through an ancient temple at the foothills of the Koolau Range, the town of Aiea, and tall forests of koa and eucalyptus. While hiking this trail, you need to be careful of blind turns since the Aiea Loop is a favorite of mountain bikers and the last thing you want to do is run into one and break your bones! It also makes sense to carry drinking water and some basic first aid material. 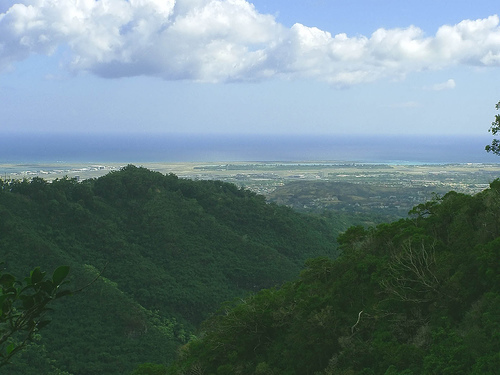 The Aiea Loop Trail is particularly beautiful since it not only has a diverse terrain, but also offers a majestic view of the canyons, the Koolau Range, Pearl Harbor, and Central Oahu. Share Your Oahu Hiking Trails or Hawaii Vacation: We're looking for stories, tips and experiences from any Oahu vacation you've been on. Why not take a few moments and Share it with everyone! Excellent Vacation in Oahu Hawaii!! !